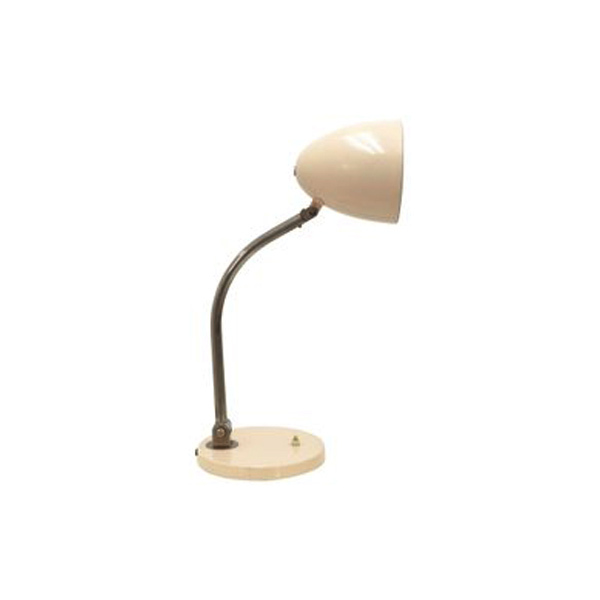 1950s Hala Zeist desk lamp in its original warm beige color. Features a flexible metal arm allowing it a wide range of motion. All original and signed in the hardware. Minimum price for the offer must be greater than 206.5% of the Product. Very nice quality, this serving trolley. Brass frame with solid mahogany tops. Good condition. Signed made in Italy. Handsome little Art Deco trolley. Chromed metal frame with its original glass surfaces on four caster wheels in good working order. Quality pair of vintage Italian replicas of Marcel Breuer’s tubular steel icon. Chromed steel frame with thick leather straps, 1970s. Remarkable lamp that can be used as a desk lamp or mounted on the wall. The lamp is made of red laquered metal, the base is black. The lamp can be switched on/off with a button in the base. Original Gispen lamp from the Bauhaus period – red painted metal matched with nickeled metal arm.